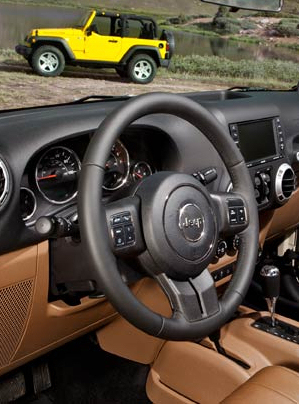 4x4 Command-Trac® This legendary part-time system has served Jeep owners well through the years. Command-Trac is a proven shift-on-the-fly system with a 2.72:1 Low-Range and Neutral. Advanced front multistage airbags that sense the severity of the impact and inflate with different levels of force. Always use seat belts. 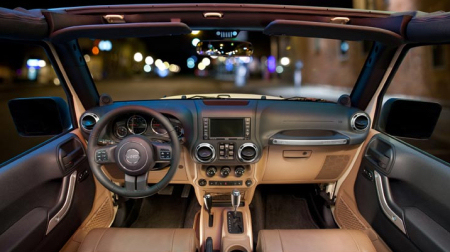 Remember, a back seat is the safest place for children 12 and under. 6 Speaker Media Center 130 CD/MP3 radio with Voice Command and Audio Jack. Voice Command requires optional Uconnect™ Phone. Electronic Stability Program (ESP) assists the driver in maintaining vehicle directional stability by applying selective braking and engine control so the vehicle will stay on the intended path. When the intended path does not agree with the actual course, ESP is activated. ESP helps on low friction surfaces including wet, snowy, icy, sandy, or gravel roads but also on hot dry pavement where a thin layer of oil can form, causing the surface to be slick. 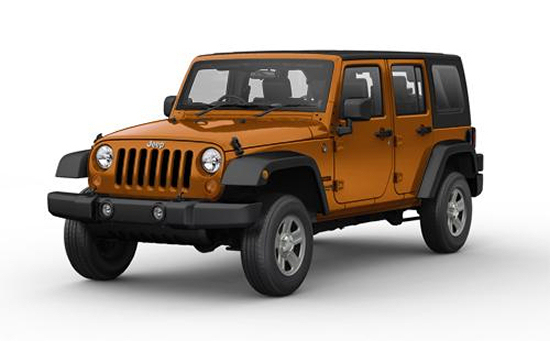 Wrangler's ESP features three modes: full-on is the default mode, partial-mode shuts off traction control and off-mode is ideal for negotiating off-road events. Traction control applies the brakes and in some cases closes the throttle to minimize wheel spin during acceleration. Traction Control is tuned for on-road activity during normal operation, but reverts to Brake Lock Differential operation during off-road driving. 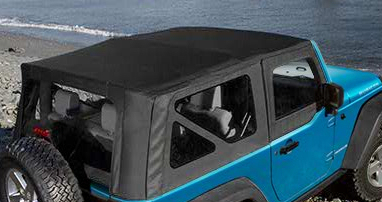 Hawaiian Jeep Wrangler Unlimited rentals are offered with three types of roof tops. Solid Hard Top includes a rear wiper / washer and rear defroster, full metal doors, deep-tinted glass and storage bags. 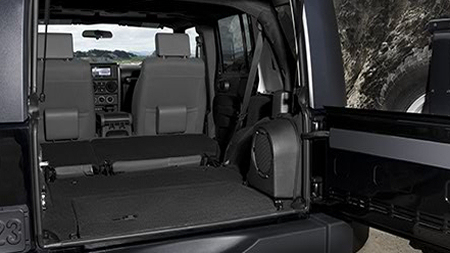 When there's more gear than guests, fold down the standard Fold-and-Tumble™ seats for additional cargo capacity. 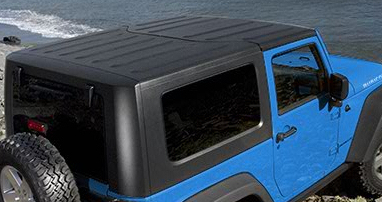 Wrangler Unlimited models come with standard folding 60 / 40 rear seats delivering exceptional seating and cargo versatility. 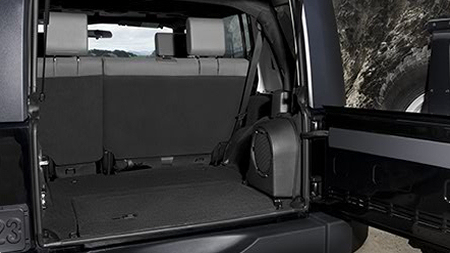 With the rear seat folded forward you'll get 82 cubic feet of total cargo volume.